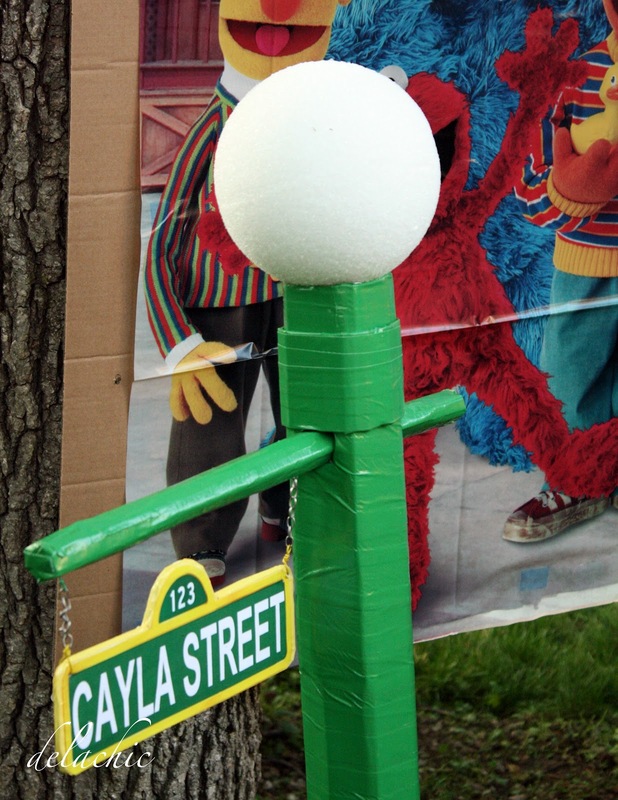 Can you tell me how to get...how to get to Sesame Street? C is for cookie...ok let me stop right there. You may know already that this past weekend was my college friend's daughter's birthday party and the theme was, you guessed it...Sesame Street. My friend Joyce was full of ideas that she's gathered and has thrown one fabulous birthday party fit for little toddlers and their parents. 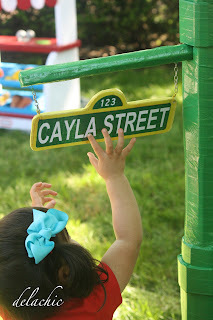 She put together everything from the signs, decorations, to favors that all had the Sesame Street theme. And she had the birthday girl do a few outfit changes as well!! I always love a great party with good food, creative decor, and lovely company! 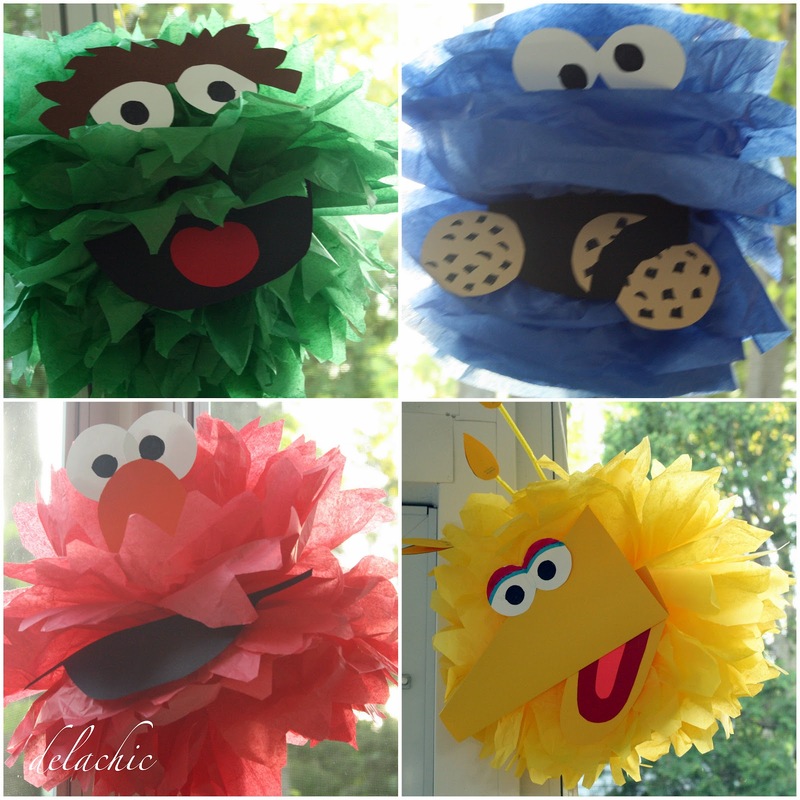 Personalized banner with the Sesame Street characters & paper fan/wheels. I guess the celebrant likes her sign? What do you think? 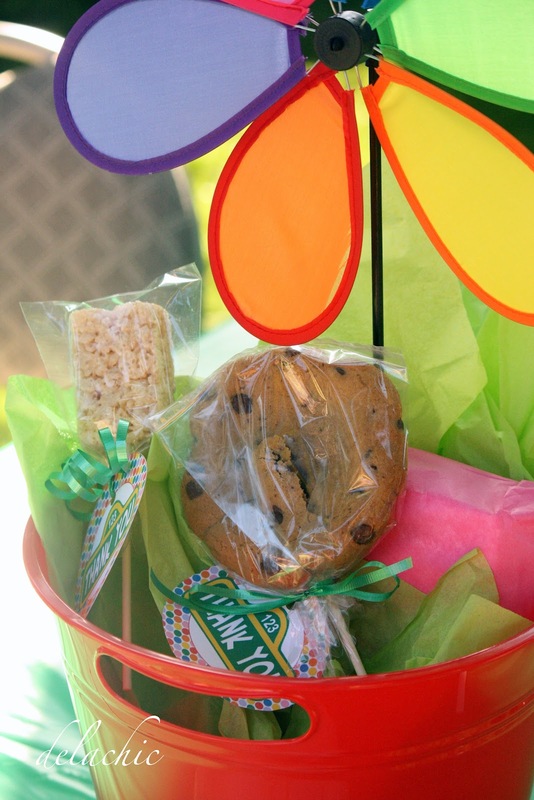 Centerpieces filled with yummy treats. I wanted that huge cookie so bad. 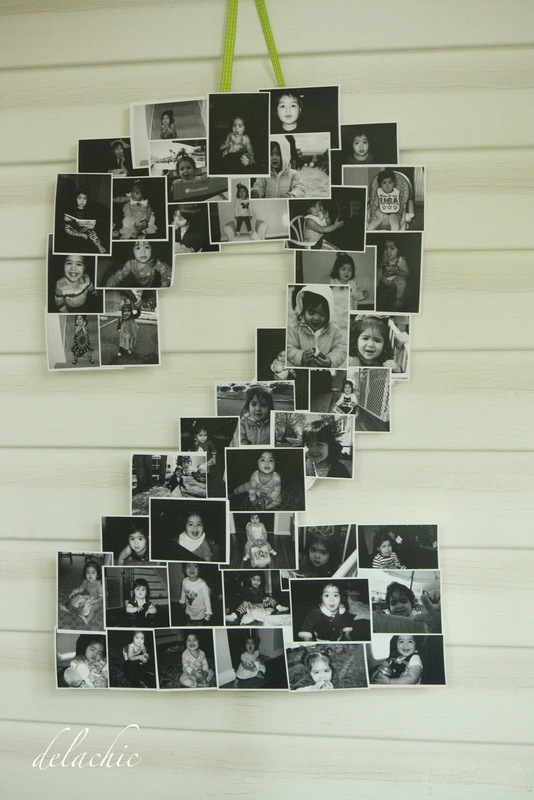 Number photo collage for the two year old. 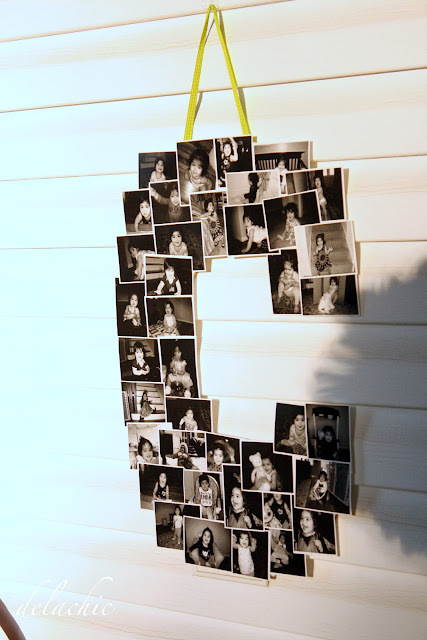 Letter photo collage of the celebrant. Thank you goodies. Do you see the the ginormous marshmallow?! 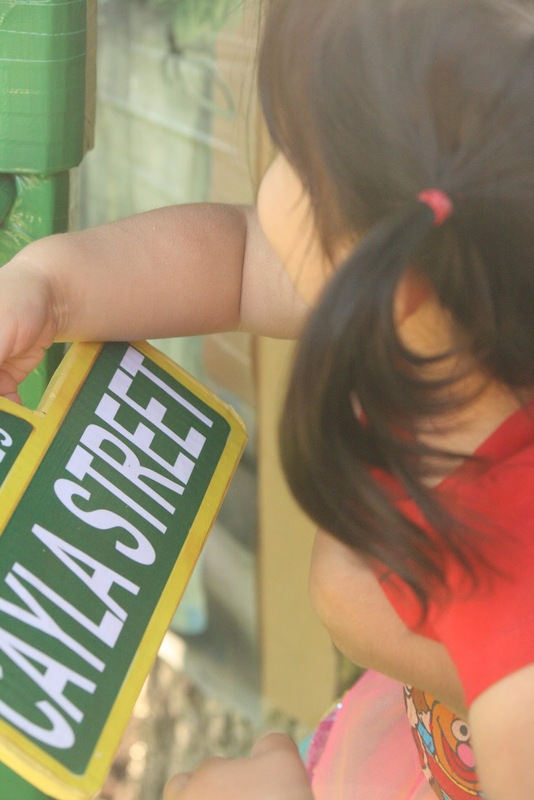 The birthday celebrant checking out her very own street sign. Tissue paper pom pom characters. A birthday party isn't complete without sweet treats! 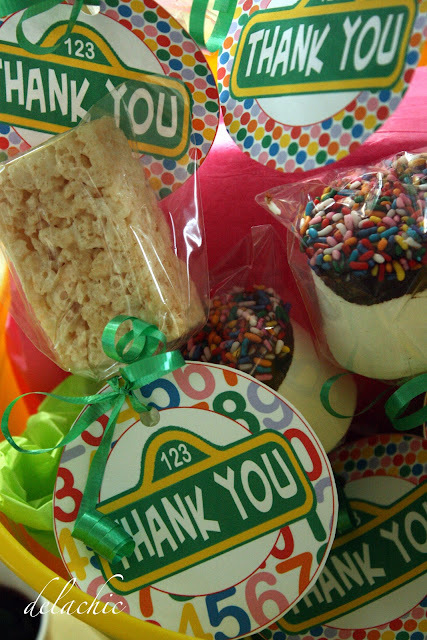 Party favors with street sign stickers. Handmade street sign outside by the poster. I'm so lucky to have such crafty and creative friends with fabulous party ideas who let me make stuff for them!! Thanks for inviting me Joyce! It was a fabulous party, as always! the pom poms!! what a great theme, if I were a kid, I'd be soooo excited for this! this is, like, the cutest & most creative party i've ever seen. love it! Well, this might just be the most ridiculously cute thing ever...the amount of work and detail that went into is amazing. color me impressed! I am totally contemplating a full-on decor/food related party again because of this post! 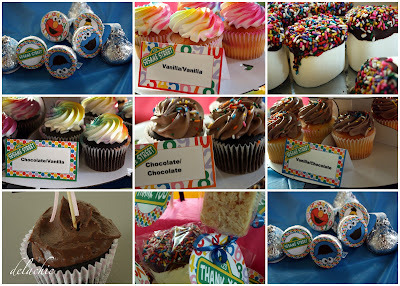 Such a great party, & I'm touched that one of my cupcakes was included! 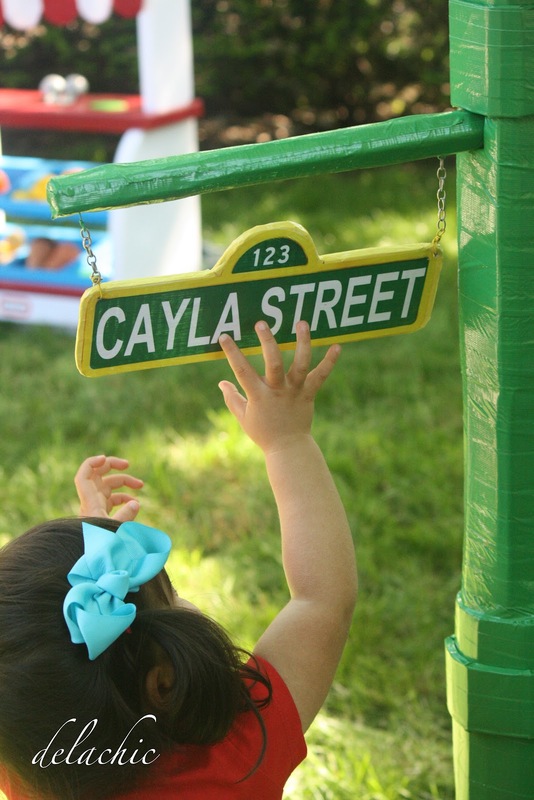 I'm glad I took my time writing cayla's name, b/c I'm truly a sloppy handwriter. What a neat blog. I read your recent blog first before this one, and I asked you a dumb question saying why you picked "C". HAHAHA Birthday party looks like success!! what a great party I love all the decorations you and your friend did a fabulous job! And sesame street is one of my favorite children's program, i used to watch it everyday when I was a kid, when i have kids I also made them watch everyday...haha. I manage a hospitality blog and I would love to feature you on it as well as this post. We'd also be interested in some of your other party posts. We're investing a lot of resources into making the site super SEO friendly, so this may be a great way to drive more traffic to your blog as well. Is this something you would be interested in?" delachic. Simple theme. Powered by Blogger.